Ironstone opens its beautiful gates this weekend to show its appreciation of Motherlode artists as it hosts the 15th annual Spring Obsession Art Show and Competition. Peruse the exhibition, purchase a piece for yourself, taste Ironstone wines, get that mouth watering at the cooking demonstrations and stick around for the artist reception and unveiling of the winners! 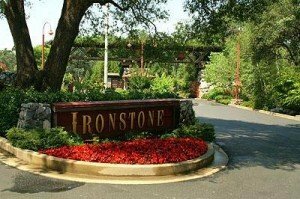 Ironstone knows how to do up an event and this is certainly not one to miss. Ring in the spring with a little art (and food and wine) appreciation!